Contact us for rates with one of our house engineers. Sessions begin at the time agreed on by engineer and the client, and continue until the load out is finished. Set up, tear down, tape machine calibration, transfers, backup of audio, and session file transfer time is billable at normal studio rates. A $100/day deposit is required at time of booking. Your deposit will not be refunded if the session is cancelled within 3 weeks of the scheduled date. Of course, exceptions will be made for major emergencies, illness and death. Cash and check are the preferred form of payment. Paypal is also available, but requires a 3% additional fee to cover Paypal costs. Full payment is due at the end of the session. Consecutive day blocks are mandatory if gear or mixes are to be left set up overnight. All mixes, CD-Rs, hard drives, master tapes, etc. shall remain the property of Type Foundry LLC until all invoices are paid in full. Neither Type Foundry LLC, nor its owner/engineers are legally or financially responsible for items brought into or left on the premises. This includes instruments, master tapes, drives, etc. Neither Type Foundry LLC, nor its owner/engineers are responsible for storing client data during the course of a recording project, nor after a project is completed. Clients are required to purchase and bring their own back up drives for data back up, and are encouraged to keep multiple copies of all data. Remember, if data doesn’t exist in at least two places (three are recommended) it is not safe. While we do our best to preserve projects on our computer, as well as keeping them backed up for the duration of the project, we can take no responsibility for projects lost due to error or computer crashes. Neither Type Foundry LLC, nor its owner/engineers are responsible for data left on premises, either the dissemination of said data, or loss of said data. 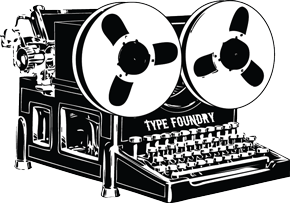 Neither Type Foundry LLC, nor its owner/engineers are responsible for unrecoverable data whether it be on analog tape, hard drive, CD-R or DVD-R media. Neither Type Foundry LLC, nor its owner/engineers are responsible for educating or instructing any client on the care and safety of digital data. Bands not working with an in-house engineer will be billed by Type Foundry LLC for the studio time (and any other studio expenses) only. The freelance engineer will bill separately for their time. One of the Type Foundry owner/engineers will accompany freelancers that have not worked in our space before for the first few hours of their session. This is a courtesy to the clients, and gives the engineer the chance to get accustomed to the space with a knowledgeable assistant. We want to make sure your session gets off on the right foot, and that the engineer knows how everything is laid out in the studio. If help is needed after this initial time, the client and/or freelance engineer can arrange for one of us to be an assistant engineer. Rates are negotiable. If you know in advance this will be needed, please let us know as much in advance as possible so arrangements can be made.